the life you so richly deserve. Nobody in the mainstream media will talk openly about it. The White House has been powerless to stop it. And millions of Americans won’t be able to protect themselves from it. A crash that could take HALF your portfolio and funnel it to their coffers. I understand why you may be skeptical about a crash. And has failed to produce a safer and more stable world abroad. This ten-year bull market has done NOTHING for those who need it most. And yet most Americans haven’t even been invited to the party. While stock markets have soared more than 83% past their pre-recession highs, average home prices are up only 10% above their 2006 highs – that’s less than a 1% gain per year. 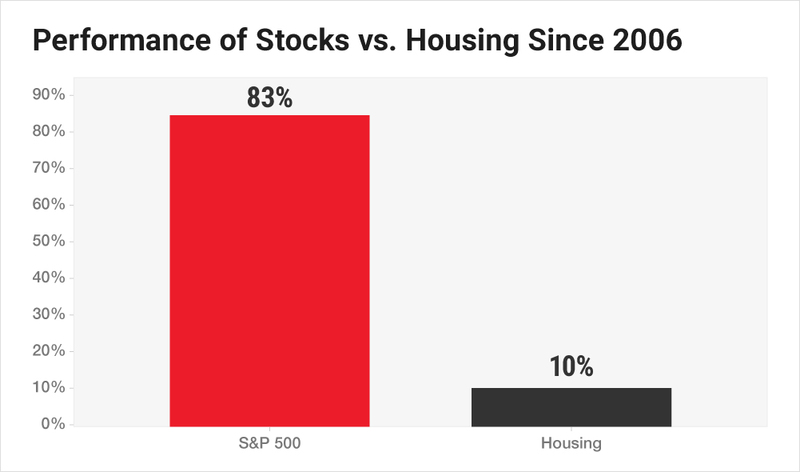 This stark difference between stock market gains and the housing market is one of the primary drivers of the huge increase in wealth inequality the past decade. All at the expense of the taxpayers and the middle class. And it’s been powered with free money from the Fed’s zero- and low-interest rate policies over the past decade inflating accounts everywhere but on Main Street. Well, Congress has certainly done well for themselves. Making them 12 times richer than the median U.S. household. 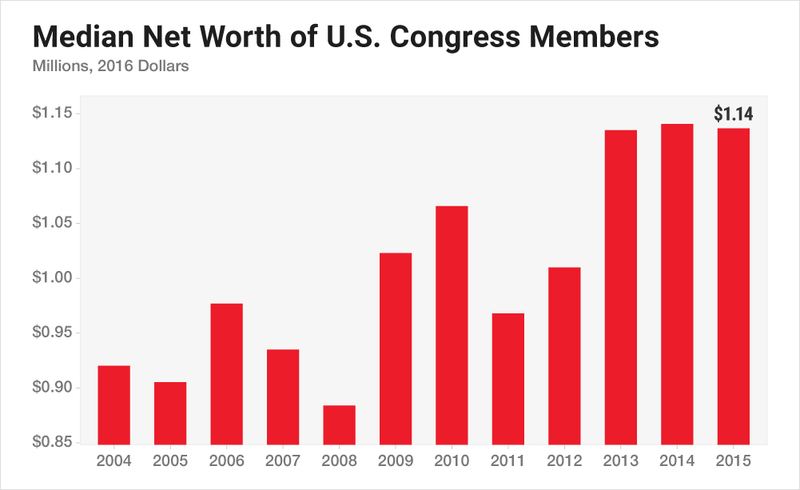 And the total wealth of all current members of Congress is more than $2.43 billion… up a massive 20% just since the last election! An amount that’s nearly triple the median household income of $62,450. 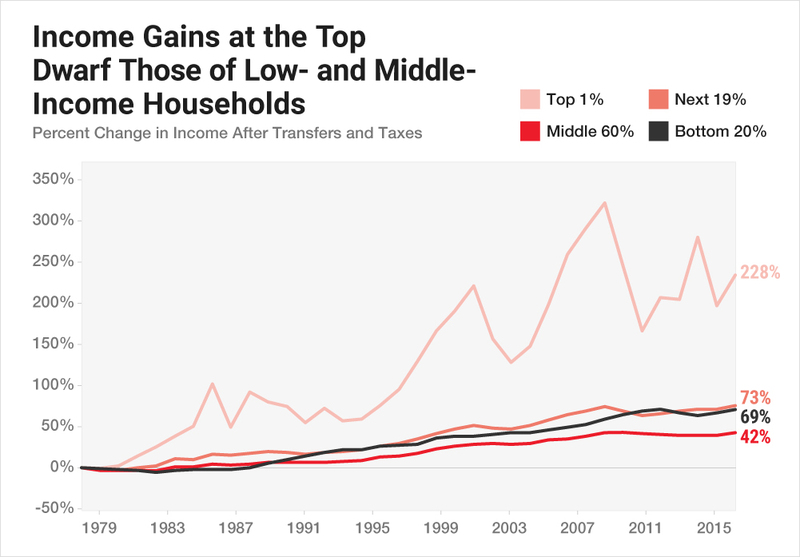 And as the rich really do get richer, many Americans are sliding deeper into poverty. Meanwhile, most Americans are still recovering from the Great Recession in 2008 and 2009. 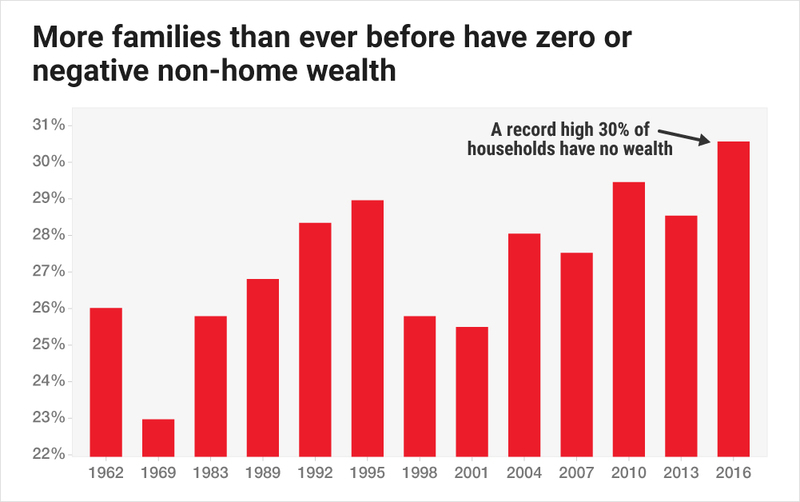 And 30% of households have zero or negative net worth… the highest EVER! 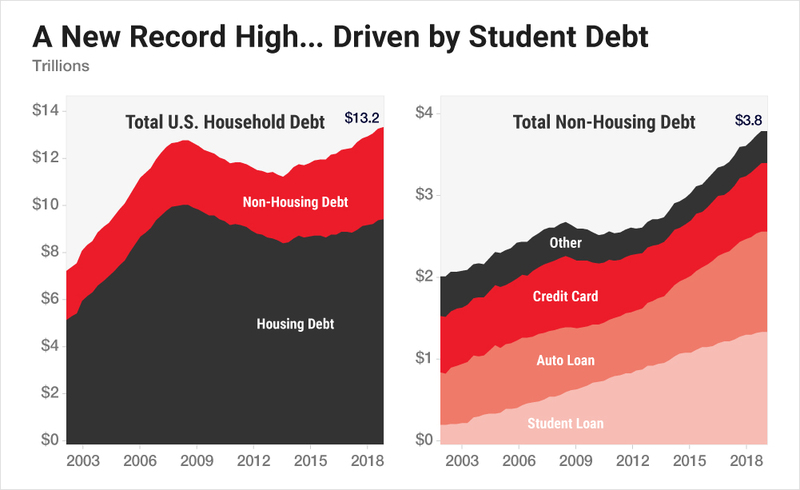 Household debt is also skyrocketing to new highs… with more and more Americans finding themselves under a mountain of debt they’ll never escape from. This has been a concentrated effort by the people who really run this country – the Deep State – to enrich themselves at the expense of you, the American taxpayer. And they’ll gain even more power when they steal HALF your money the only way they legally can… with another market crash. I’ll tell you how in just a moment, but first, let me introduce myself. When I first went to Washington in 1970, I took on the role of a public servant for the first time. I did so with a firm belief in America and a desire to make us truly great. And somehow, I went from being a junior congressman from the state of Michigan to being dubbed the “Father of Reaganomics” over a decade later. Like all young men who get close to the seat of power, I thought we were going to change the world. You see, I was part of a new wave in the Republican Party. We believed (and still believe) in sound money, low taxes, small government and unleashing free enterprise for the benefit of it all. To become that “shining city on the hill”... a symbol of prosperity and freedom for all the world to see. A few years later, I left Washington D.C. for Wall Street. I first joined investment bank Salomon Brothers and later became a partner at the Blackstone Group, a New York-based private equity company. I spent twenty successful years on Wall Street before “retiring” in 2006. Today, you’ll often find me making the rounds on the likes of Fox News, Fox Business, and Bloomberg. I’ve spent my career in the two deepest parts of the Deep State – Imperial Washington and Wall Street. Wall Street has long known that Main Street investors are easily manipulated… always on the lookout for a quick win. And we, the average investor, play right into their hands. The result is inflated markets that mean more profits for bank insiders and shareholders, but never for America’s retail investors. And now, with stock markets pushing to new highs month after month, they’re getting ready to clean up again, while Main Street investors are left holding the bag. Not at “the crash is days away” levels yet… but certainly getting closer. That still allows little room for the markets to continue to surge higher. And they’re actually pulling their free money back out of the system by the hundreds of billions. 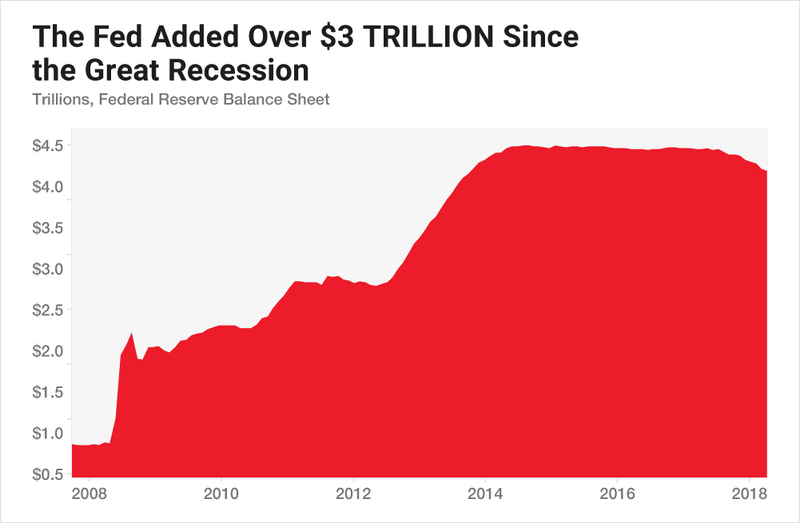 The federal government is now bringing in less money as a share of the economy than in any non-recession period since World War II. 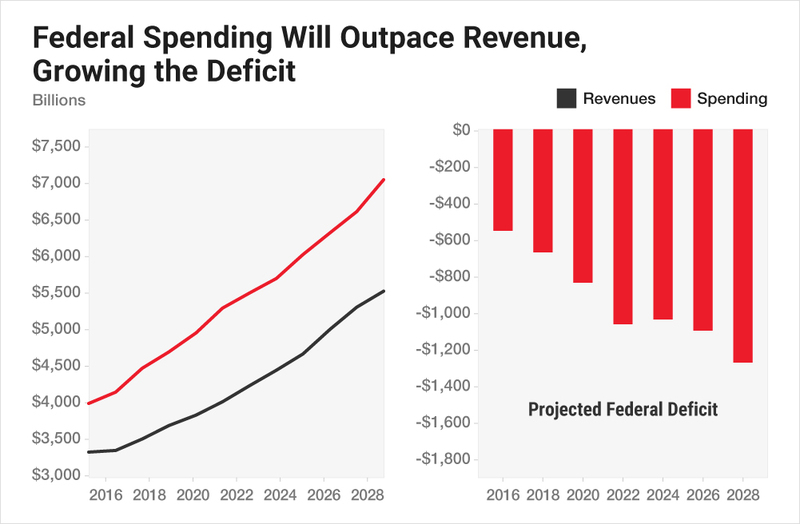 Add in the out-of-control spending from BOTH parties and we’re on pace to run 10% annual budget deficits as far as the eye can see. And the American economy won’t either. Does that mean I’m calling for a market crash today? 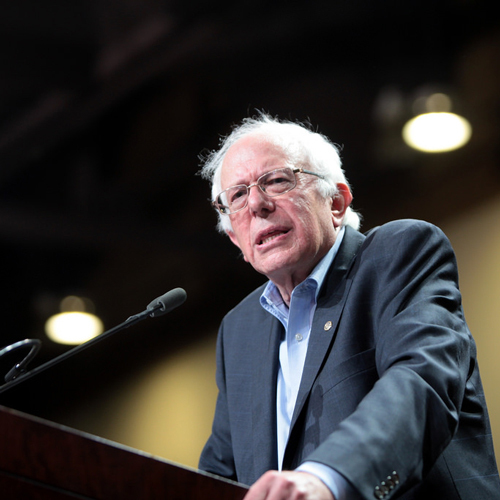 And if we don’t get it under control… it will kill the American economy. To the operators of the Deep State ready to commit the third transfer of wealth in the past twenty years with the next market crash. And President Trump certainly can’t save you. Whether you’re saving for retirement or already there, you’re entering a very dangerous time in the next few years. And when it does come crashing down, anyone who’s been following Wall Street’s “buy and hold” advice will get crushed. That nest egg you’ve built back up over the past ten years? The biggest mistake you can make today is to believe this Trump bull market can continue to run higher and higher. And if you’re looking to follow someone who blindly cheerleads the President, I’m not that guy. But I fully support his desire to take on the establishment and try to change the status quo. And he represents the retaking of the government by the people… for the people. It’s much like the early days of Ronald Reagan. I know… I was there. I believe President Trump has the stuff of a “Great Disruptor,” but he can’t do it alone. And I think it’s high time we stand up as Americans, stop complaining and bickering, and start making a difference. I’ll tell you exactly how I plan to do that in a moment – with your help, hopefully. But first, you need to accept on indisputable fact. And it’s a growing threat to the safety and sovereignty of every man, woman and child in America… and the generations yet to be born. Now this isn’t some ridiculous conspiracy theory or the insane ramblings of a talk-radio host. For the past 50 years, I’ve been inside the Deep State apparatus – from Washington to Wall Street – and I’ve seen it all first hand. And Keynesian money-printers who artificially inflate the markets so they can siphon BILLIONS of dollars out of our pockets and into theirs. That we must be controlled. And this dangerous ideology has spread like a cancer throughout our government, our political parties and now the entire country. Government institutions entangled in an intricate web of money, power and influence that spreads from Wall Street to the Imperial City. I’m about to take you down the rabbit hole and expose their secret. Over the next ten minutes, I’ll take you behind the curtain and reveal the truth about the forces controlling our government… and our economy. So, you can build the life of personal and financial freedom you so richly deserve. You see, I still believe in America… just like I did when I first went to Washington 48 years ago. It has a nice ring to it. But sadly, from the time President Reagan said it in 1980 to today, nothing’s really changed. If anything, it’s gotten worse. A recent Monmouth University poll asked American citizens who they believe controls Washington D.C. They can’t quite put their finger on it, but that’s only because they don’t understand just how corrupt our entire system has become. I expose and confront them every day… and I spare nobody, from any party. If we don’t start taking action to confront it, your freedoms and your wealth will continue to erode. We’ll be looking at not just the death of the American Dream, but another massive recession… or worse. And I’d rather start fighting back now than wait until it’s too late. And the source of their power lies inside this building, located at 20th and Constitution Avenue, N.W., in Washington, D.C. It houses the main offices of the Board of Governors of the Federal Reserve System. Because like it or not… money is power. If you control the money supply, you control everything. And no one has more control over our money supply than the arrogant central bankers who run the Federal Reserve. 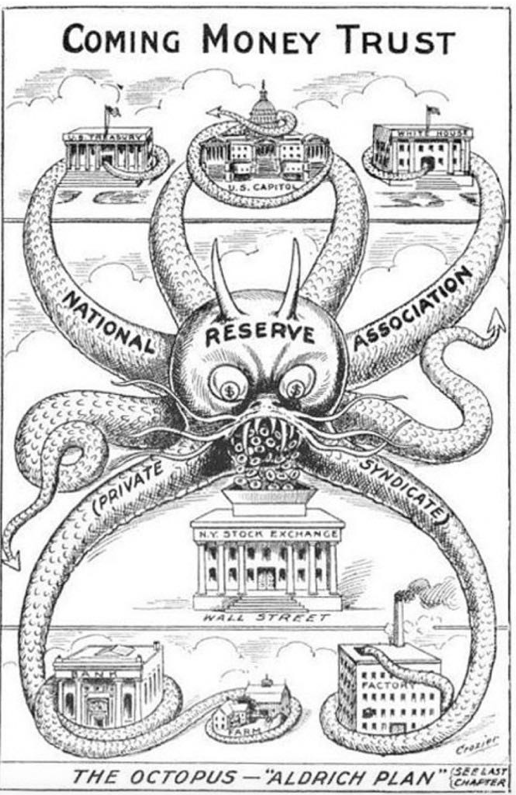 With its eight arms wrapped around the U.S. institutions as well as free markets. It was published in 1912, just a year before the creation of the Federal Reserve. But no one could have imagined just how powerful the monster would become over the next hundred years. 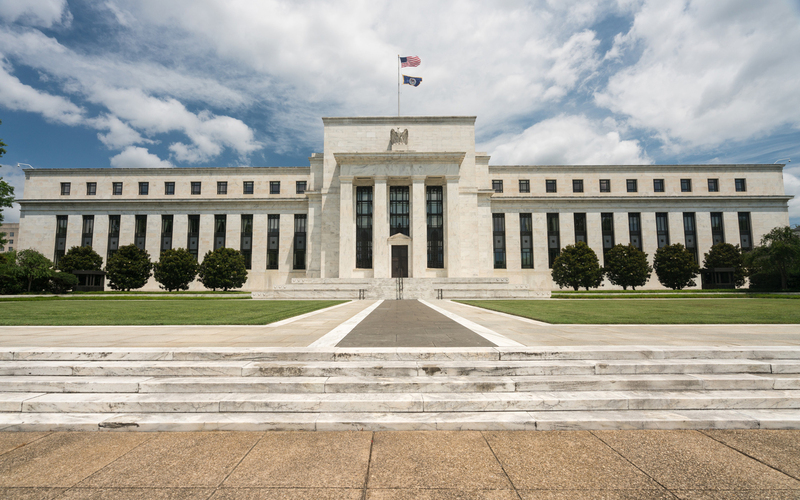 As you may know, the Federal Reserve is neither a federally-run entity nor is it a reserve. I know this because I’ve been inside the smoke-filled rooms with this group of unelected, unaccountable, and completely unrestrained group of bureaucrats who have nearly infinite and unchecked power. All at the expense of taxpayers like you, your children and your grandchildren. It’s an economic fantasy of endless free money. It’s the delusional belief that the Fed can control the economy and end recessions forever. It’s the fool-hearted notion that “deficits don’t matter” and we can borrow our way to prosperity. But sooner or later it’s all going to come crashing down onto the shoulders of Main Street investors and taxpayers. And when it does, there will be hell to pay for all but one group. 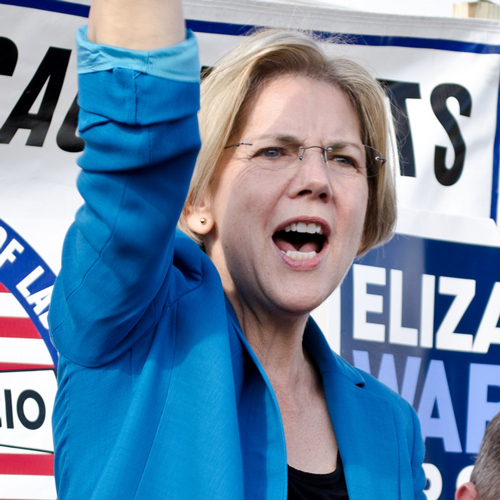 Wall Street is a debt-fueled casino, and their game is rigged against you. But they wouldn’t be able to continue robbing you blind if the men and women in the C-Suites of America weren’t in on the scam. This record long bull market is a complete sham! It’s smoke and mirrors, fueled entirely by “Bubble Finance”. But where has all that money gone? 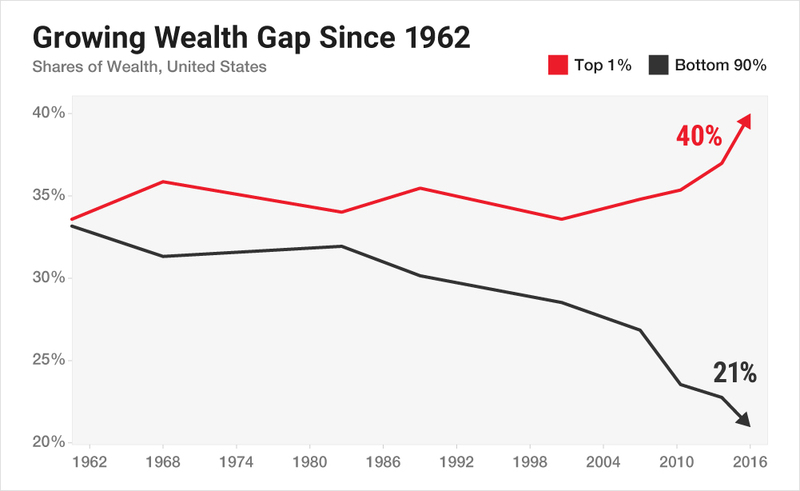 In the U.S. today, the top 1% of American households now owns more wealth than the bottom 90% combined while 41 million Americans receive food stamps and a hundred-million aren’t in the labor force. The average American owes twice as much as they make in a year. Which means despite an improving economy and rising incomes, we’re actually getting poorer. The most elaborate pump-and-dump of all time, designed to fatten the wallets of Wall Street bankers and greedy corporate CEOs. And the year isn’t even over yet! 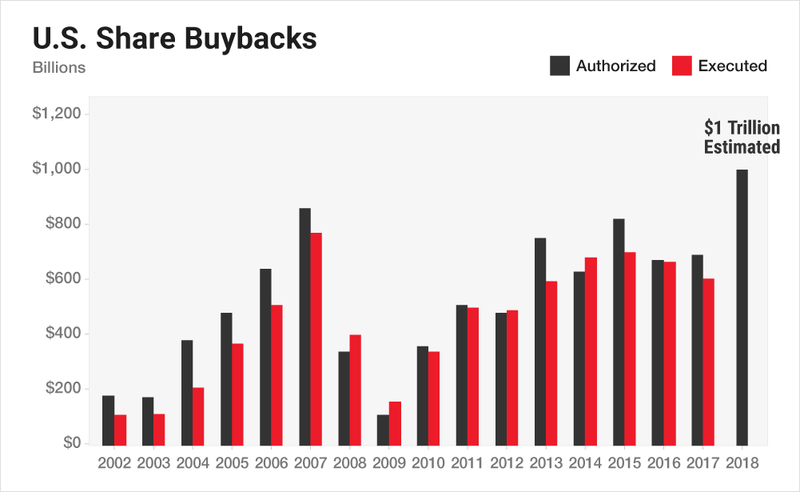 Goldman Sachs now estimates firms will buy back $1 TRILLION worth of stock by the end of the year. And according to UBS, another $500 billion is expected to be paid in dividends and $1.3 trillion spent on mergers and acquisitions! Over $2 trillion of the rise in the S&P 500 in the past year is due to creative Wall Street accounting… NOT real earnings. The so-called economic recovery we’ve experienced? It’s essentially smoke and mirrors. A crash is coming. It’s only a matter of when. They’ll go hat in hand to Washington for their taxpayer-funded bailouts. Because they own our politicians… lock, stock and two smoking barrels. And you have the Fed’s Bubble Finance policies and Wall Street’s financial engineering to thank for that. With access to near infinite free money, the greasy-fingered lobbyists who make up the K-Street Mafia have free reign to buy any political favors they need. It’s a perversion of capitalism and democracy. And since my time in Congress and in the White House, it’s only gotten worse. And as a result, we have neither capitalism nor democracy. 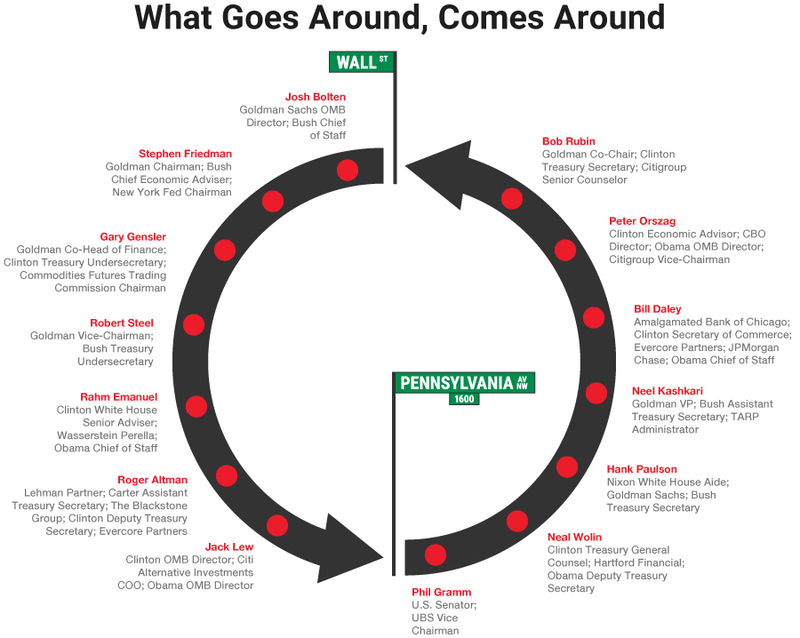 What we have is the “Revolving Door”. They’ll land fat six- and seven-figure jobs working for the same lobbyists and corporations who bought them in the first place. But the true danger to you – and our country – lies in the Deep State’s final two weapons. On Jan. 17, 1961, President Eisenhower gave the nation a dire warning about what he described as a threat to democratic government. He called it the military-industrial complex. It’s the Deep State’s way of keeping us in a never-ending state of war and prop up private industry, buy votes, and grab even more power. And President Trump now has a rogue’s gallery of warmongers leading the way. 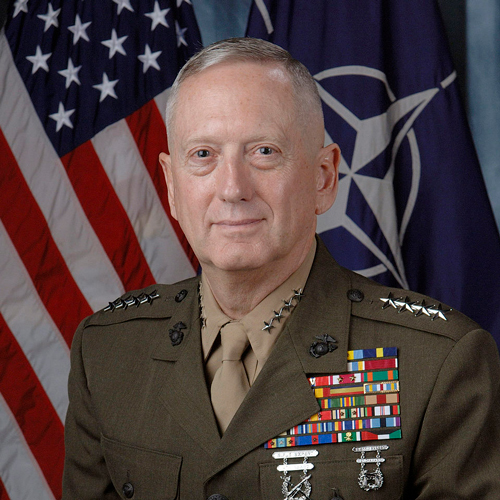 “Preemptive” war and occupation is now the top business of the Department of Defense. Fear and obedience are the instruments of power. And they use that power to siphon more money out of American taxpayers’ pockets. And they’re all looking for a mission to keep the party going (and the money rolling in). Which is why the Deep State needs to manufacture “enemies” all across the world to keep the money flowing in. And the Democrats and the Liberal Media have been doing a fine job of manufacturing those enemies for us with this delirious Russophobia. Neither Russia nor China even remotely possess the intent or the means to threaten the American homeland. 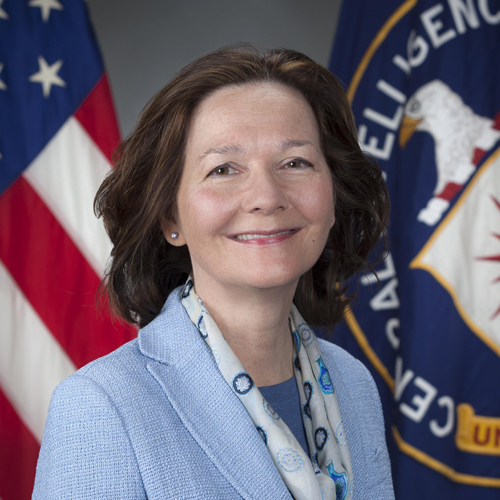 Is a threat to the Deep State’s empire-building agenda. But the Warfare State can’t exist without it’s politically correct and socialist counterpart. And this is the Deep State’s most dangerous weapon of them all. Here’s the problem with socialism. But that doesn’t mean people want to give up on it… especially not if it benefits them personally. And especially not when we have politicians who rely on plundering the pockets of others in order to give to special interest groups and buy the support of their political base. And you need to look no further than the increasingly socialist left wing to see how big of a threat this is to our nation. Because modern life is tough, and people have grown soft and dependent on government handouts. What was once deemed a “privilege” is now being demanded as a “right”. And with this growing entitlement to infinite free everything comes a powerful voting block who isn’t shy about demanding it. It’s just another weapon being used to control us. Regardless of your personal political viewpoints, there’s simply no denying the fiscal math. Bubble Finance. Bailout Nation. The Warfare State. The Welfare State. And eventually, it’ll be used to bankrupt our nation and turn our citizens into debt slaves. 37 years ago, that person was me. I had the nerve to tell Ronald Reagan he was about to preside over a fiscal calamity. For all his faults, the Gipper had common sense to spare. And he could recognize the impossible fiscal math we faced. He also had spent his career reminding voters that no nation can borrow its way to prosperity. 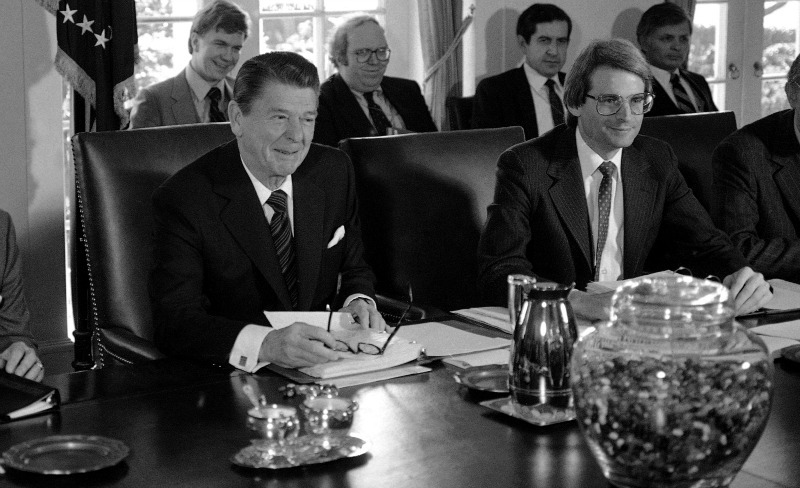 After the deficit broke toward 10% of GDP in the fall of 1981, he reluctantly signed three consecutive tax increase bills in 1982, 1983, and 1984. Few remember (or are willing to admit) those tax increases saved the day. 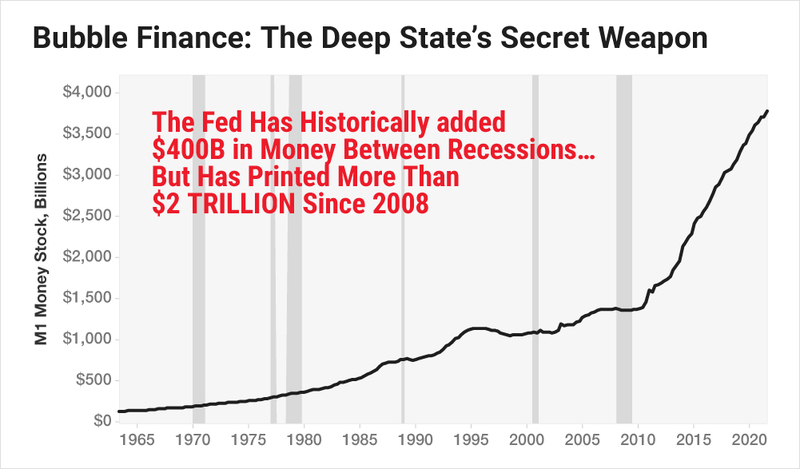 But Alan Greenspan and his successors at the Federal Reserve made sure that Ronald Reagan would be the last president who’d resist the Deep State agenda. 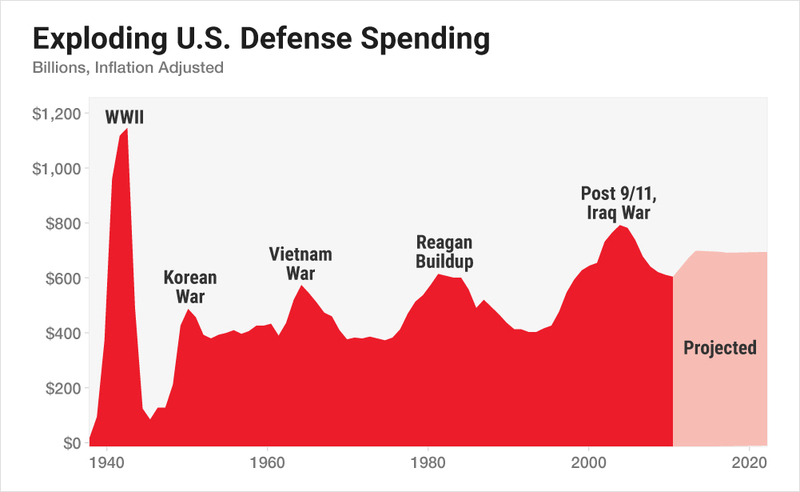 Endless wars, endless bailouts, endless corruption, and a $20 trillion debt (and growing). Thick, black, impenetrable, and completely undrainable. And believe me, I’ve tried to fight this war against the Deep State from the inside. I’ve tried it from my seat in Congress, as President Reagan’s budget director, and as a hedge fund manager on Wall Street. And that’s why I can no longer rely on the mainstream media, or our corrupts politicians and business leaders, to deliver my message. Which is why I’ve decided to take a different approach. I’m not going to play this game with these “Gatekeepers” any longer. Because I don’t need them anymore. And neither do you. From 1952 to 2008, radio personality Paul Harvey kept the nation informed on topics big and small. I think we would have got along perfectly. They consisted of little-known or forgotten facts… and I’m quite sure he could have gone on for hours about the Deep State. Now I’d like to tell you the rest of the story. You see, the weapons and tactics of the Deep State run much deeper than what I’ve talked about today. And the more you know, the more prepared you’ll be to defend your freedoms and your wealth in the years ahead. That’s why I’d like to send you a much more detailed report, The Weapons of the Deep State. 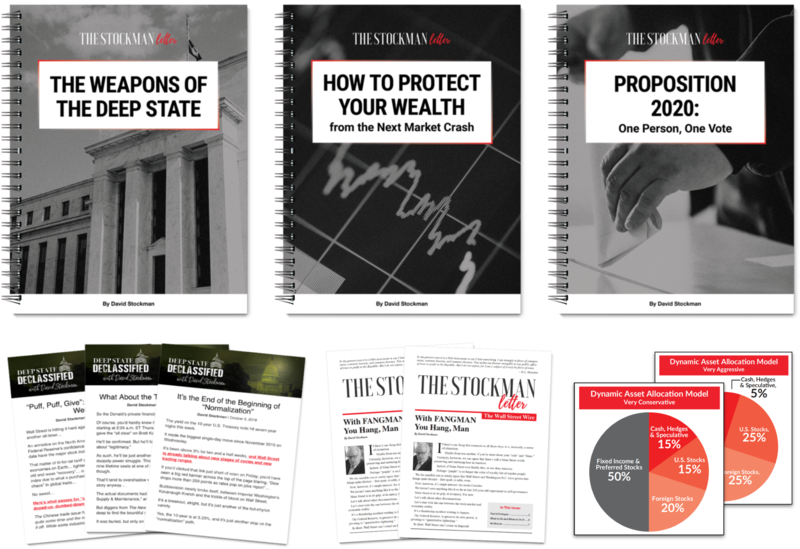 This report will help you quickly get up to speed about the five weapons of the Deep State and the tactics used to help those in power stay in power. This information is critical if you want to stay one step ahead, putting control of your life back in your hands. But that’s not the only report I want to send you today. As I said before, we’re at a crossroads in America. But the threat to your freedoms and your wealth has never been greater. 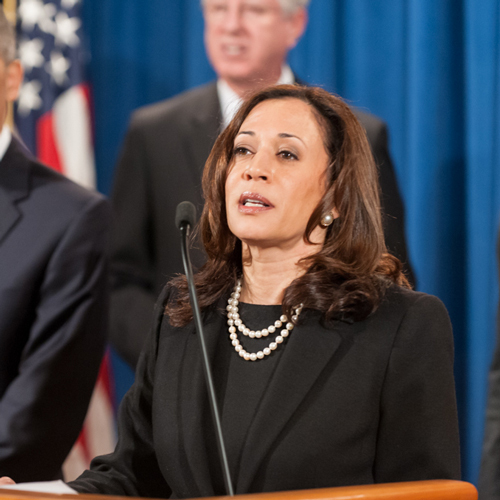 If their actions are allowed to proceed unchallenged, we’ll be staring down the barrel of another Great Recession – or worse – and savers and retirees could again transfer HALF their money to the Deep State. The one mistake you can make today is to sit back and wait for President Trump to drain the swamp. And to discover how to gain a clear advantage in your portfolio by understanding the connection between Wall Street and the Imperial City. It’s NOT about conspiracy theories. The Deep State is simply this — an intricate web of money, power and influence that spreads from Wall Street to the Imperial City. It’s positioned to help those in power, stay in power. An issue an overwhelming majority of Americans on both sides of the aisle support – with 79% in favor of term limits. And yet Congress has never gotten close to considering an amendment to address it. 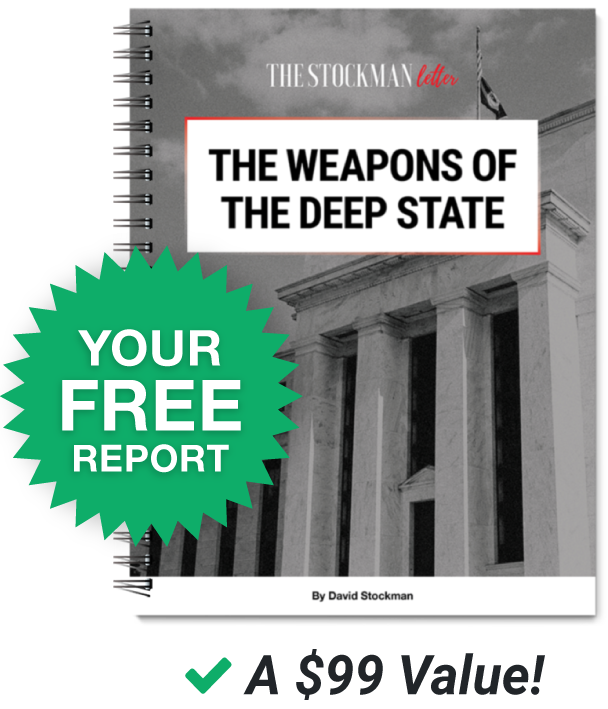 The Deep State is so much more… as you’ll discover in your FREE report, The Weapons of the Deep State. And how to stay informed long after you read this report. And it’s a critical weapon of the Deep State. To be able to go toe-to-toe against it, you MUST defend your financial independence. And it means growing your wealth… in good times and in bad. If you’re dependent on anything or anyone… you are at their mercy. And it’s a dependency you must break. I’ll show you how in just a minute. That doesn’t mean I’m willing to give up the fight. That’s why I’ll also tell you about a bold venture I’ve launched to help your voice be heard in the Imperial City. One person, one vote… it’s the foundation of our democracy. But that foundation is crumbling due to the influence of the Deep State. Allowing even more money to pour into the Imperial City from those with the power and wealth to rig the game in their favor. In late-2017, while Republicans were shaping President Trump’s tax plan, a ranking member of the House Ways and Means Committee was looking to buy a boat. Bringing his total loans from the bank since 2016 to a massive $35 million. In the meantime, the bank spent $760,000 lobbying in 2017 for the massive tax law changes Buchanan had a hand in writing. Both political parties have lost all sense of who they are. And Democrats have allowed the lure of free college, free healthcare, free everything to justify a war on success. But more importantly, both parties have built platforms that are no longer in tune with everyday Americans. To make our voices heard again on the issues that matter most. That’s why I’ve created this plan to make that happen. And I’m giving us until the 2020 election to start making a real difference in America. That’s right, Alan Greenspan, eventual chair of the Federal Reserve, said over fifty years ago that the deficits matter. And I’m not going to bore you here going into great detail about them. Debt and deficits are the most important weapon the Deep State has. Because in a world where debts don’t matter, the spending never stops and the fun never has to end. All of which support the transfer of wealth to those who need it least. But I think he’s dead wrong to insist that most investors simply put their money into an index fund that tracks the S&P 500. And if you need your money for anything in the next five years — retirement, your kids or grandkids college, medical expenses — then you should absolutely ignore that advice. But DO NOT stop investing. And I’m not saying you should start hoarding gold in an underground bunker. Especially if you need your money for anything important in the next five years. Because on average, that’s how long it’s taken to get back to even after each of the major crashes we’ve seen in our lifetimes. That’s why today, I’d like to send you a special report on how to best protect and grow your money in the next five years. And it’s critical if you want to avoid the transfer of wealth the Deep State is perpetrating on everyday Americans. In the November 2017 elections, voters in nine different states had the chance to vote on 22 specific issues. Called ballot measures, or propositions, it’s the only opportunity most Americans get to vote on the things that matter the most to them. 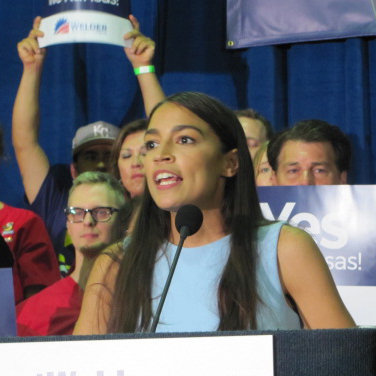 And responsible citizens in the liberal state of Washington actually voted to REJECT three new taxes – an increase in commercial fishing fees, changes to the sales and use tax and business and occupation tax, and an increase to the state property tax. We’re stuck voting for entire political platforms without any way to vote on the specific issues. It works out perfectly for the Deep State politicians and lobbyists who want to maintain control. And then let us tear each other apart while they rig the system in their favor. I’m certainly not going to go sit in a retirement home and keep my mouth shut. I’ll explain how I intend to bring the proposition process that exists at the state level to influence our leaders in Washington on the issues that matter most. In short, you’ll get exclusive access to my personal project, the Voices of America Polling Group. One person, one vote … that’s the foundation of our democracy and the essence of my Voices of America Polling Group. At least once a quarter, you’ll have the opportunity to have your voice heard in the Halls of Congress and the Oval Office. My goal with this group is to make it an effective way to “vote” on individual issues and send that information directly to those in power. Then, you’ll have the opportunity to answer the questions and provide your own comments. I’ll write and sign a cover letter and deliver it to the President, Vice President, every member of Congress, and anyone else I feel needs to be aware of how real Americans feel about real issues. Then this is your chance to vote on the issues. I don’t know of anyone else taking action like this … and there’s certainly nobody else with my credentials backing it up. I’ll tell you exactly how we plan to put this polling system in place and how you can take part in this special report. And the threat it poses to all Americans should greatly concern you. This in-depth research report will help you quickly get up to speed about the five weapons of the Deep State and the tactics used to help those in power stay in power. Make no mistake, the Deep State is out to steal half your money for the third time this century. If you need your money for anything within the next five years, it’s time to start investing differently. 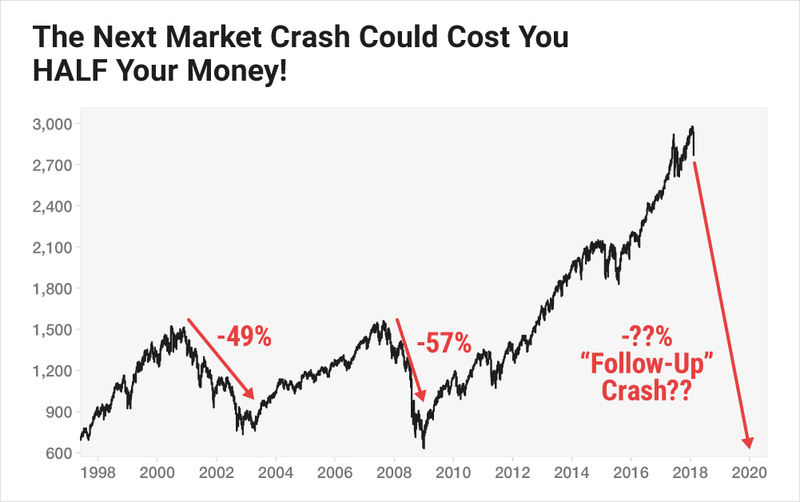 Following the S&P 500, the Dow or the Nasdaq for the next five years will only lead you to another 50% market crash. This report will describe what you need to do TODAY to avoid a trip to the poorhouse when the next crash finally hits. Are you ready to start fighting back and make sure your elected officials know how you really feel? Sure, you can write a letter to your Congressman… or you can join thousands of other like-minded citizens as we rise together and tell the Imperial City how you really feel. We’ll be conducting periodic polls of our audience and delivering the results to our elected officials. But the only way to take part is to join this exclusive group. I recently started a free daily newsletter, sent by email, called Deep State Declassified. And about the threat the Deep State poses to your wealth AND your freedoms. Every day I reach tens of thousands of citizens just like you through these emails. And while I’m able to touch on a lot of topics each day, I don’t have the chance to really dive into the ones that matter most to you and your family. And many of you want to take action… TODAY. But to be part of the solution. Because quite honestly, I had no idea Deep State Declassified would strike such a nerve in so many people across our country. But the more than 35,000 daily readers of Deep State Declassified have inspired me to take this project to the next level. 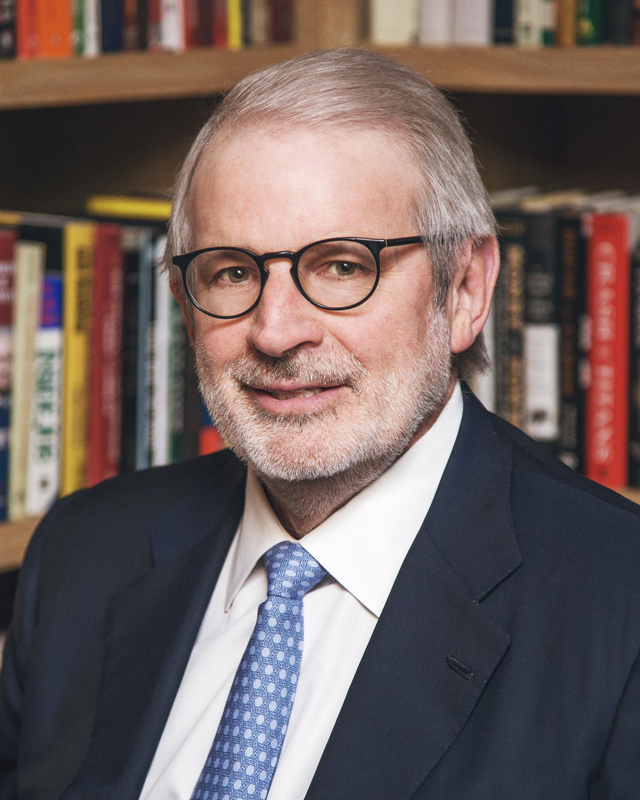 The Stockman Letter will be an in-depth monthly letter covering Wall Street, Washington and the impact both have on Main Street Americans like you. 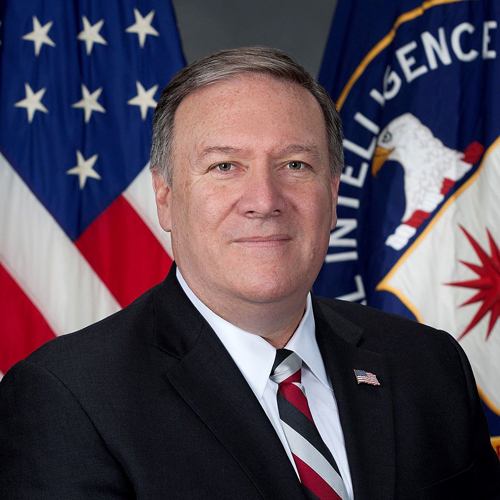 Pulling back the curtain and exposing the weapons of the Deep State, including why it’s in their best interest to eventually destroy the American Dream. Uncovering the truth about who really controls the purse strings in the Imperial City … and how one secret could help you invest more successfully AND more profitably. Calling out the Fed and the unsound money policies that threaten to plunge us into the greatest market crash in history in the next few years. 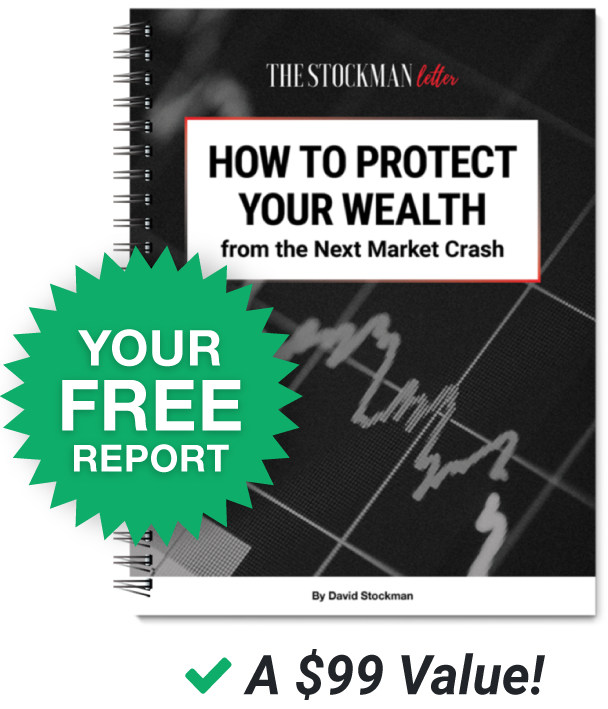 I’ll be tracking this closely and revealing a number of ways to help you protect and safely grow your money. Unraveling the web of influence that connects the Imperial City to Wall Street … and showing you how a focus on Main Street is the real path to making America great again. Spearheading a new national poll on the issues that matter most … with the results being delivered directly to the White House and Congress. 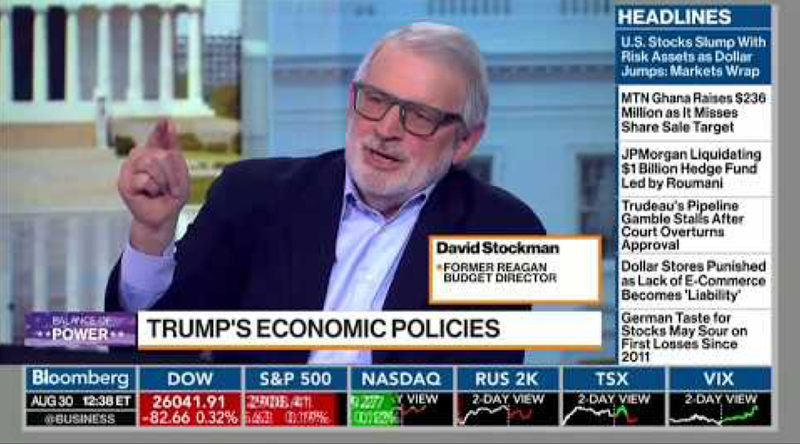 As you can see, I’ve got a lot planned for The Stockman Letter and I hope you’ll consider joining me as we expose the Deep State and help concerned citizens like you restore the American Dream. You’ll receive a complimentary subscription to my free daily e-letter, Deep State Declassified, delivered to your email six days a week at approximately 6 p.m. eastern time. The uncensored truth about what’s going on in Washington D.C. and Wall Street. Each month, I’m going to name names, expose lies and reveal the dirty tricks being used to keep the Deep State in control of our government. A monthly look at how the news coming out of the Imperial City impacts your financial independence. 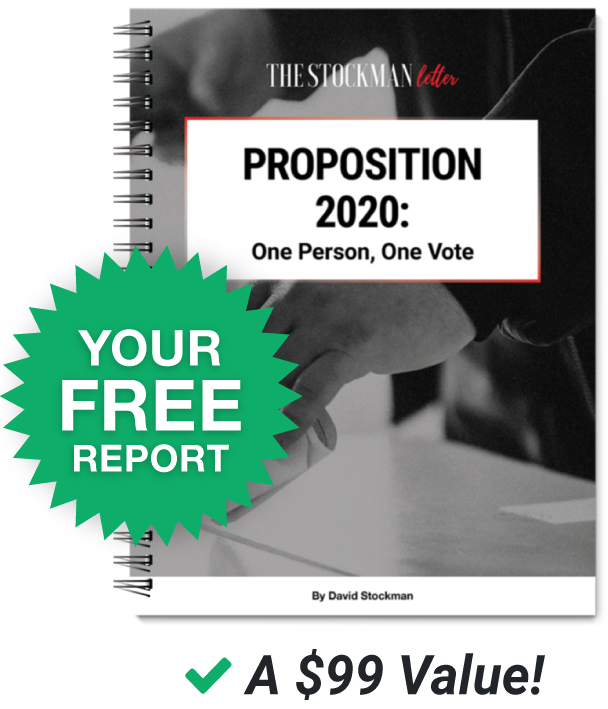 I’ll help you make the connections between what’s happening politically and what you should do about it to protect and grow your money. 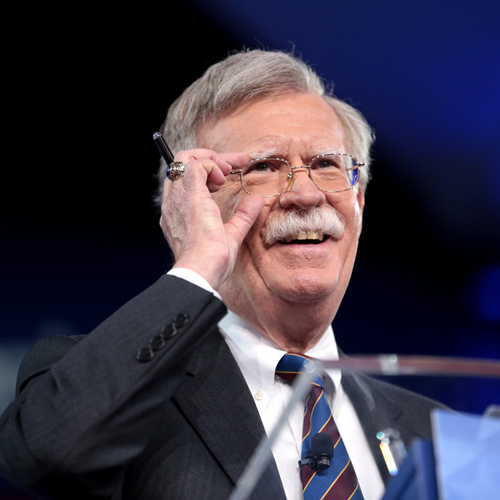 Our monthly article with the latest chatter from Washington D.C. and the backroom offices where the deals really get done. This is not what you’ll hear in the fake news or even on Fox News … this is the real information you need to know, not what the Deep State wants you to believe. Our monthly centerfold where we’ll take a deep dive into the data and the stories from each issue and what they mean to you. Every month I’ll lay out in explicit detail the data that backs up my positions. And how it affects you, your wealth and your retirement. Let me be frank, I believe in focusing on what I do best, which is talking about economics and politics. But both topics always find their way back to your money – how to protect it, how to grow it and how to keep the government from taking too much of it. That’s why each month, based on the current state of the economy and global markets, I’ll update my Dynamic Asset Allocation Model. In the months ahead, I’ll also be introducing you to brilliant investing minds I’ve met over the course of my career who can provide excellent recommendations in each of these asset classes. I’ve spent more than four decades working in both the Imperial City and Wall Street. And those people still talk to me about what’s really going on. When I think there’s someone you need to hear from on an issue affecting your freedoms, your money, or both … I’ll give you access to what I’ve discovered from our private conversations in one of my Spotlight Columns. Ready to start fighting back and making sure your elected officials know how you really feel? Sure, you can write a letter to your Congressman… or you can join thousands of other like-minded citizens as we rise together and tell the Imperial City how you really feel. I’ve also got quite a few other surprises planned in the months ahead, but I can’t share them all just yet. The good news is, you’ll be the first to hear about all of them as a subscriber. This is NOT another free email like the many clogging your inbox. 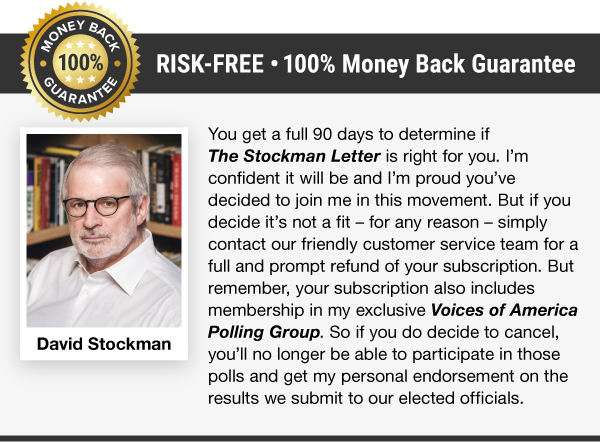 The Stockman Letter is a well-researched, in-depth monthly publication that allows me to go much deeper into an issue… with far more proof to back-up my arguments. I’ve decided to hire a private, independent publishing house in Baltimore, Maryland to help me handle all of the operational details. Which means I do have to charge something to pay the staff and office bills. 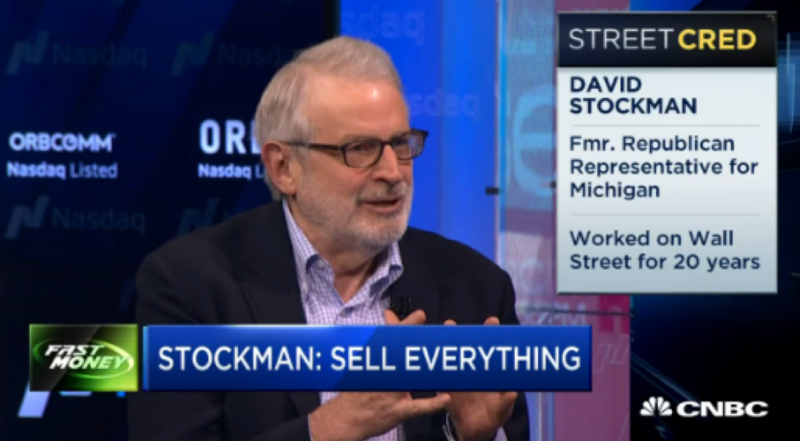 The cost for your annual membership to The Stockman Letter? A modest $79 for the year… just $6.58 a month. And with your membership, you get to join our growing movement of concerned citizens who to make a difference… who want to fight for a better future. 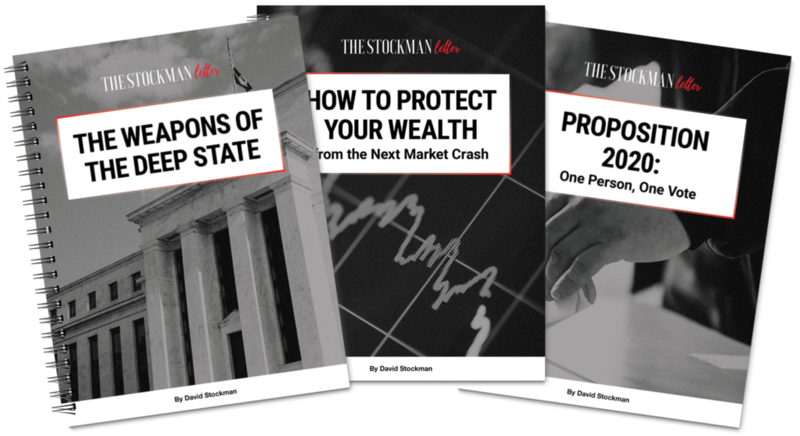 You have a full 90 days to review the next three issues of The Stockman Letter and make sure it’s right for you. And to help me take a stand against the Deep State and fight to keep the rights our founding fathers fought for almost 250 years ago. If you aren’t completely satisfied with everything you’ve received at that point, we’ll refund the full subscription price within the first 90 days. All you have to do is contact our friendly Baltimore-based customer service team at 816-415-8491, Monday through Friday from 9 a.m. to 8 p.m. eastern time. I hope you’ll consider joining me today. And I’m proud to do my part to start a political movement that will help restore faith in America, defend against the Deep State and allow you to vote on the issues that matter most. P.S. By the way, I recently sent a draft of my latest book off to my publisher. Click here and I’ll show you how to get a FREE copy of this book, before it hits Amazon or any mainstream bookstore.